Meanwhile, 62 percent of the samples tested positive for AMPA, glyphosate's metabolite, according to the study, which was conducted by researchers at the Socio-Environmental Interaction Space (EMISA) of the University of La Plata in Argentina. All of the raw and sterile cotton gauze analyzed in the study showed evidence of glyphosate, said Dr. Damian Marino, the study's head researcher. “There is a basic premise in research that when we complete testing on out target we have to contrast it with something ‘clean,’ so we selected sterile gauze for medical use, found in pharmacies," he said. “So we went and bought sterile gauze, opened the packages, analyzed and there was the huge surprise: We found glyphosate! Our first thought was that we had done something wrong, so we threw it all away and bought new gauze, analyzed them and again found glyphosate." 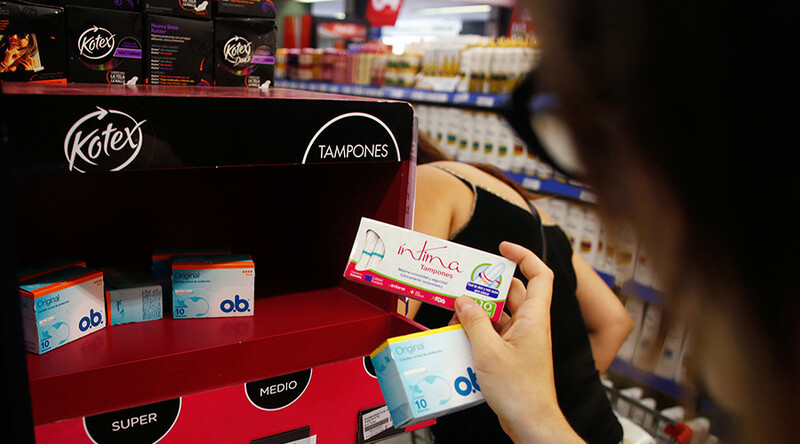 Argentina has had a tampon shortage in recent years based on the country's policies concerning imports and foreign currency, according to reports in January. Most of the nation's tampon imports come from Brazil, Miguel Ponce, head of the Chamber of Importers, told AP. Those tampons include American brands, such as OB and Kotex. 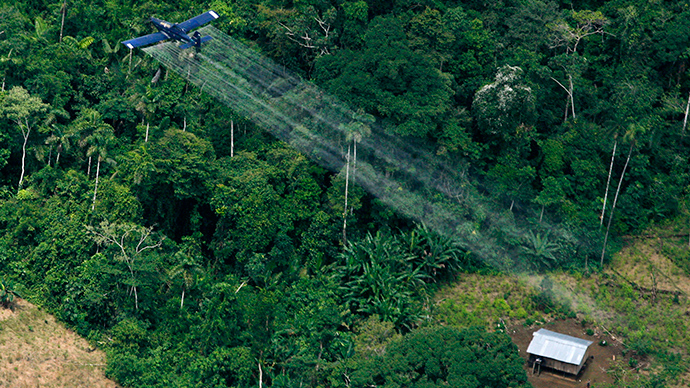 Transnational agrochemical giant Monsanto's Roundup herbicide, of which glyphosate is the main ingredient, is sprayed over genetically modified crops ‒ which Monsanto also produces ‒ that are engineered to be resistant to the powerful chemical. 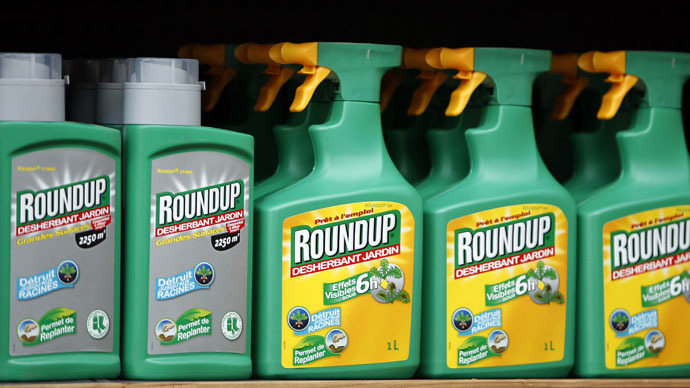 Used the world over, glyphosate, which Monsanto first developed in 1974, is a broad-spectrum herbicide used to kill weeds, especially annual broadleaf weeds and grasses known to compete with commercial crops. GMO seeds have caused use of glyphosate to increase immensely since the 1990s, according to US Geological Survey data. In March, the International Agency for Research on Cancer (IARC), an arm of the World Health Organization, classified glyphosate as a "probable carcinogen," as opposed to its previous designation, a "possible carcinogen." Scientific studies have linked the chemicals in Monsanto's biocides to Parkinson's disease, Alzheimer’s disease, autism and cancer. Furthermore, as the most powerful multinational biotech corporation today, Monsanto has drawn the ire of farmers and consumers for its firm grip on the global food chain. The company's control and advancement of GMO seeds is of prime concern, as they symbolize the company's consolidation of agricultural processes. The effects of biochemicals on wildlife, including pollinators such as honeybees and monarch butterflies, are also a point of concern. For instance, since 1990, about 970 million of the butterflies – 90 percent of the total population – have vanished across the United States, according to the Fish and Wildlife Service. At least part of the blame rests on the boom in Roundup use. The herbicide is marketed to farmers and homeowners as an effective method for eliminating plants like milkweed, so it's widely blamed for decimating the butterflies’ only source of food in the Midwest.